Before Roald Amundsen set out to conquer the South Pole in 1911, he chose to learn from the best possible sources and went to live with the Inuits to study their knowledge on cold weather survival. Amundsen learned to dog sled, hunt for seals, kayak, fish, and even wear the clothes of the Inuit. This knowledge made Roald Amundsen succeed were others had failed. 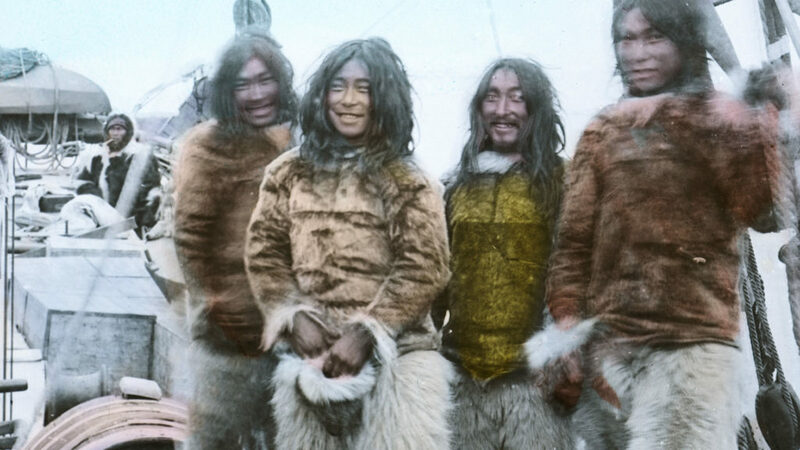 The foot and leg coverings of the Inuit manifest their outstanding technology, total comprehension of the animals used and conscious acknowledgement to their environment. Relentless winter conditions or unreliable spring ice make strict requirements on the Inuit seamstress. Footwear must suit the occasion – the inland animal hunt, the linger by the seal hole, time spent around camp as well as travelling and dancing. To meet the challenge of weather, season and terrain, versatility is key. Inuit footwear, as with the rest of their clothing, admirably shows their expertise, advanced over thousands of years, of humidity and temperature control. The human body, notably the feet, transmits water vapour and if overheated becomes perspiration. At a certain point, depending on the temperature both inside and outside the clothing, the perspiration condenses and becomes hoarfrost. Inuits have therefore developed their footwear with several layers depending on conditions. 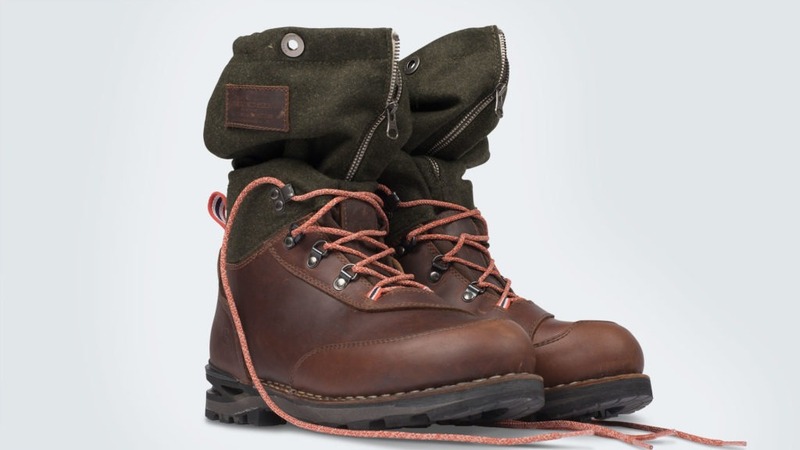 They use natural materials that breathe and crafting techniques such as attaching the upper with the waterproof stitch – ilujjiniq. After getting introduced to Inuit mukluks some years back, we started to study how we could take their concepts and bring it to the future with precision craftsmanship and cutting edge technology. With this in mind, we set out to develop a versatile benchmark boot for hiking, glacier walking, mountaineering and at the same time a comfortable everyday lifestyle boot – all in one system. To meet this challenge we teamed up with the renowned boot designer Fabio Deon in Studio Deon, Montebelluna. What we first thought would require less than a year has now taken more than two years to complete. We are proud to finally present the first Amundsen boot; Ilujjiniq – Mountain Muks.